Das Schönste am Urlaub ist die Erinnerung! 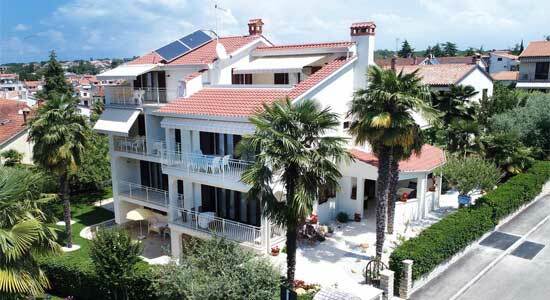 House Marija is located in the most famous and attractive district of Porec – the district Spadici. 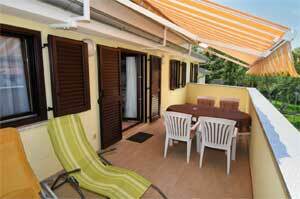 House Marija is an immediate neighbouring house to house Jasmina. 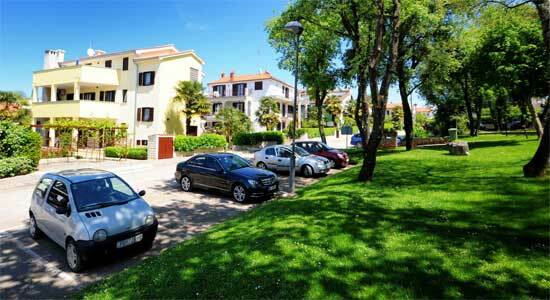 Both houses are only 25 meters away from each other (Street Losinjska 10 and 14). 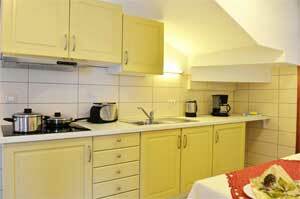 Apartments of the house Marija are suitable for 2 to 4 people. 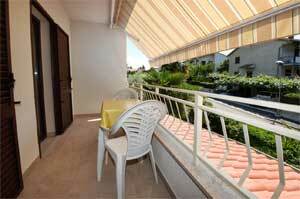 Some apartments provide sea view and other have an own garden terrace. 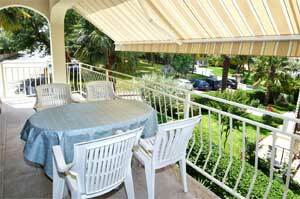 The well-kept garden is a true eye-catcher and is consisted of palm trees, rockery, kiwi trees and a wine pergola. Footpaths and staircase are coated with marble plates. There are sufficient parking lots in front of the house. 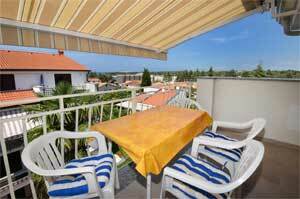 House Jasmina is located in the supposedly most famous and attractive district of Porec – the district Spadici. House Jasmina is an immediate neighboring house to house Marija. 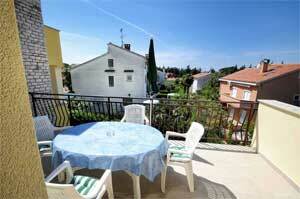 Both houses are only 25 meters away from each other (Street Losinjska 10 and 14) and are located in a quiet position. 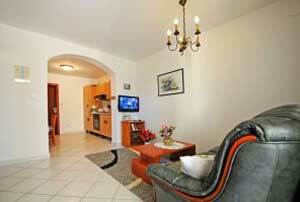 House Jasmina provides four large apartments suitable for up to 7 people. 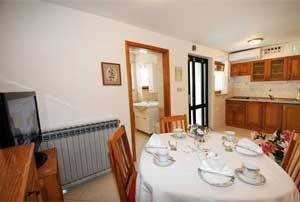 The house is ideal for bigger families or smaller groups. 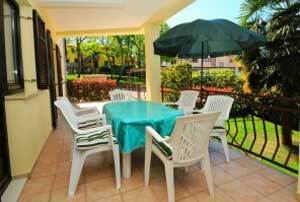 Especially the big grilling terraces of the apartments #2, #3 and #4 enjoy great popularity among the guests . 2 own parking places of the house and enough parking space in front are available for all the guests. 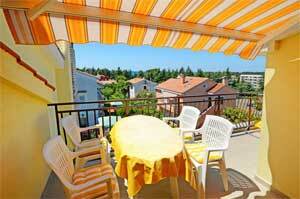 House Jasmina is located in the supposedly most famous and attractive district of Porec – the district Spadici. House Jasmina is an immediate neighboring house to house Marija. 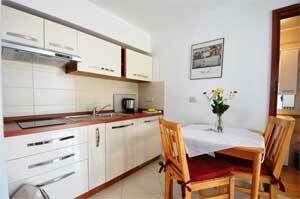 House Jasmina provides four large apartments suitable for up to 7 people. 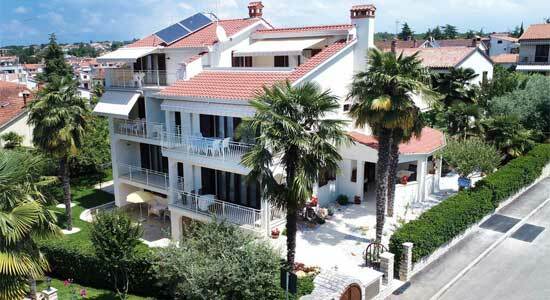 House Marija is located in the most famous and attractive district of Porec – the district Spadici. House Marija is an immediate neighbouring house to house Jasmina. 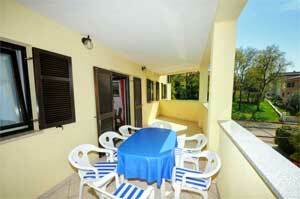 House Marija provides four large apartments suitable for up to 4 people. In the period from 01.11. to 03.01.